I've been carp-ing & speaking English at a baby slow pace for 5 days during the holidays in Phuket, Thailand. I've fallen in love with the good food & the friendly people. Thailand is such a great place to spend your holidays in! 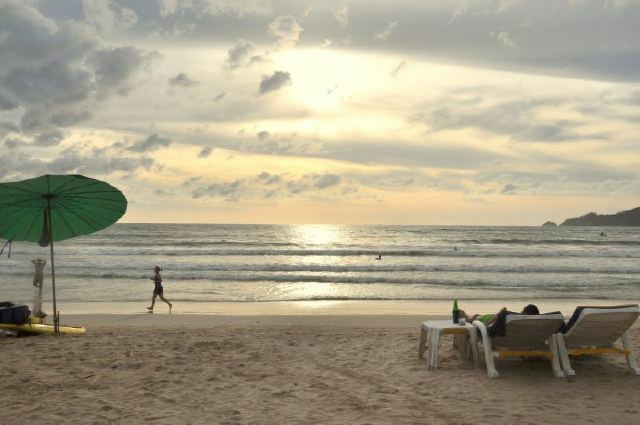 I spent 5 nights in Phuket & paid around RM400 for return flights with AirAsia. My travel budget (including flight) was around RM1000 without shopping (including shopping RM2500). I think I've pretty much experienced most of what Phuket has to offer. The only thing I missed was the Muai Thai boxing. Here are some highlights of my trip. I spent 5 nights in Phuket. 3 in Phuttasa Residence, Patong Beach. 2 in Thavorn Grand Plaza Hotel, Phuket Town. Accommodation is VERY cheap in Phuket. 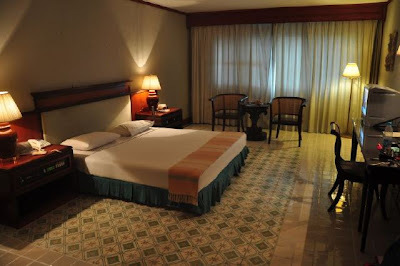 For 5 nights, we paid a total of ONLY RM200. The hotels were clean, comfortable & had en suite bathrooms, fridges, towels & great service. The Phuttasa Residence was only 3 mins walk to the beach & in the middle of all the action. Step out of the hotel & there are endless rows of makeshift trader tents, taxi drivers, tour guides, massage parlours & restaurants along the roads near the beach. Phuket town is very quiet & it's just like any other city... Nothing much for cultural sightseeing. However, the morning market next to Thavorn Grand is an excellent place to sample the food of the locals. 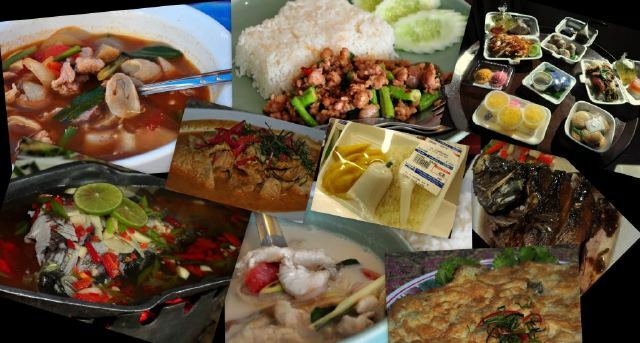 None of those touristy Westernised dishes they serve at Patong. The prices are significantly lower too. My philosophy about food is something I've learned from my mother. She taught me to look for the restaurant with the most people. It's her way of vetting the quality of the food. When I'm travelling, I look for one with the most locals. This way the food is good & authentic at the same time. That was what I did when I was in Phuket & it paid off every time. If you're in Patong, look up the humble Dang Restaurant. I like it. Try some of the vege dishes. It's hard to find Thai food when you're in Patong. The streets are lined with Western, Italian & Fast Food joints. I counted 3 Starbucks in Patong alone! When I was in Phuket Town, I was taken to an out-of-town beach-side Thai seafood restaurant called Khon Thai 2. I didn't find the dishes here especially palatable. However, the multitude of mosquitoes there had a wondrous feast on me & my girlfriend. I would avoid this place in the future because they do not cater to small numbers. They have set prices & portions for each dish so be careful not too order too much like I did. The food is not worth forking out too much for. The waterside view was not particularly picturesque when I was there. Extremely low-tide revealed the ugly wrinkles of the waterfront. Thai tailors are renowned around the world for excellent workmanship & especially for price! I had a 3-piece suit done for RM700+. The sales people were very friendly & accommodating. Never once did they even show a hint of displeasure at my low-budget or excessive haggling. The service is extremely fast as well. I ordered at 5pm. Tested at 10pm. Collected 5pm the next day. If you want a similar experience, look up Uomo Fashion. Step into any parlour that says Thai Massage & you'll get the authentic thing (not the more dodgy type of 'massage') & the prices are all very similar. I paid only RM25/hr for a foot massage. It's the same price for a full body massage. The foot massage was really good. If I had more time, I'd have gone for a body massage too. You can also find manicures, facials & etc for around RM25. The first thing I noticed about the beach is that it was surprisingly clean & well kept. The sand was white & there were absolutely no traders at the beach. Most of the time, there is a red flag up. Which means no swimming. However, I could still dabble at the shore & I still see people surfing the waves. There are also other types of water recreation that you can take part in. But I didn't think it was worth it to fork out shopping money for a jet-ski or banana boat ride. I just wanted to have a laid back relaxing time at the beach. I'm not much of a beach person but shopping... that I can do! I had a good time browsing & haggling at the makeshift stores located all around Patong. Lots of custom t-shirts, imitation broad-shorts, sunglasses, shoes & etc. Most of the traders have similar collections. Haggling is a must esp if you are buying more than 2 pieces. There is more variety in Phuket Town but the prices are very similar to Patong. 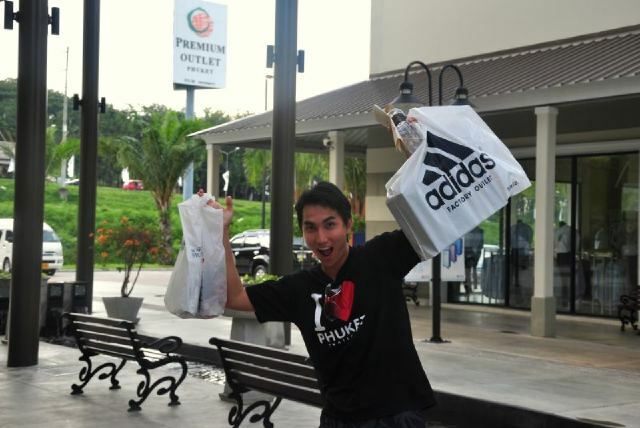 If you're bored with the beach & have some extra money to spend before heading home, I suggest you hire a taxi for a long ride to Phuket's Factory Outlet. There are many outlets there with reputable brands. There are a few boutiques with excellent T-Shirt designs with prices better than the imitations on the street. I also got Man Utd, Arsenal, Juventus & Barcelona merchandise there for my friends. You can get a VAT from most of the stores. 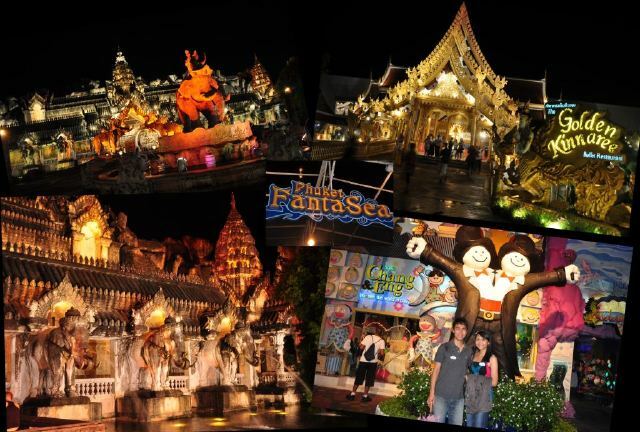 A major attraction in Phuket is the Phuket Fantasea. 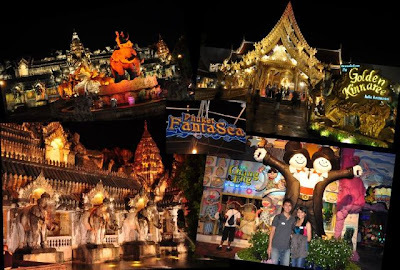 It's like a large Thai theme park. There's lots to see there because the architecture is exquisite. The restaurant is mediocre so you're better off having dinner beforehand. The main reason people are here is to see the show staged in their large auditorium. I would rate the show 4/5. There were lots of eye candy, bright lights, live animals, pyrotechnics & acrobatics but the flow of the story & the links between the different acts were uncohesive. I guess you will need to know the Thai fairytale the show was based on to truly understand it. 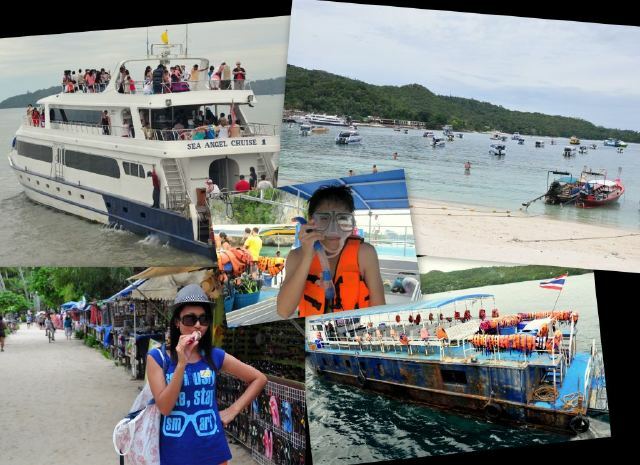 Travel agencies will promote a day-trip to Phi Phi Island. The cruise is long & the waves are strong so you'll be feeling sick the whole 2hrs there & back! On the way, you'll see some islands & get to go scuba diving. The islands were nothing to shout about & there wasn't much to see when scuba diving. On Phi Phi Island, the beach is lined with boats & the cove filled with them. It's a horrible sight & not sure how hygienic it would be to bathe in such waters. Unless you're going to spend a few days island hopping, I suggest you avoid Phi Phi Island altogether. Nowhere else in world will you find excellent customer service, excellent food & clean toilets at such low prices. Only in Thailand. 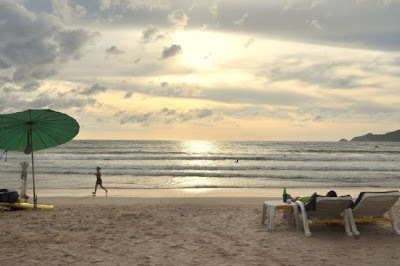 Phuket is perhaps a little too touristy & Westernised to cater to the majority of tourists who are American & Australian. However, you will not feel threatened at all in Phuket. As a tourist, I could feel safe walking the streets at night. Probably because the people are so friendly, they're clean, well-dressed, they speak English & there are lots of other tourists around. I enjoyed Phuket & especially the company.